As the first chapter of our development is nearing completion, in more ways than one, we realized that there is no post whatsoever about the weapons you will have the pleasure of using in Excubitor. Those that played the early alpha build, which you can still find HERE for those that dared to ignore it, probably already had first hand experience with some of the weapons we will talk about here. But there are things that are yet to be implemented, or were added since that release, so read on if you want to know more. With 15 distinct weapons at your disposal you, the player, will choose the perfect weapon for dealing with the various kinds of enemy types. As you progress through the game new weapons, and upgrades for the same, will get unlocked. Our basic idea is to create all weapons with three upgrades in mind. When initially bought each weapon starts at its basic, let’s call it lvl. 0, variant and then the player can spend resources to upgrade the weapon and unlock new attack patterns and enhance the damage output. The most basic of weapons, the faithful Machine Gun, is pretty much what you’d all expect it to be. It is the starting weapon in the game and while generally most efficient when used against weaker enemy forces a steady supply of upgrades can push its usability well into the later stages of the game. The main thing to keep in mind when wielding the Machine Gun is that constant shooting causes the weapon to overheat, ceasing fire until it’s cooled. While we’re covering the basics let’s go over one more staple of the shooter/action genre, the Missile Launcher. These weapons have a relatively slow attack speed but that is well compensated by the huge damage they inflict upon impact. And what kind of a missile impact would this be if it didn’t do some additional damage in a blast radius around the primary impact point to unfortunate nearby enemies. Now we’re venturing into Sci-Fi territory with the Plasma Rifle. This energy powered weapon fires in bursts of three super heated charges after which a small recharge time is required before the next blast is ready. 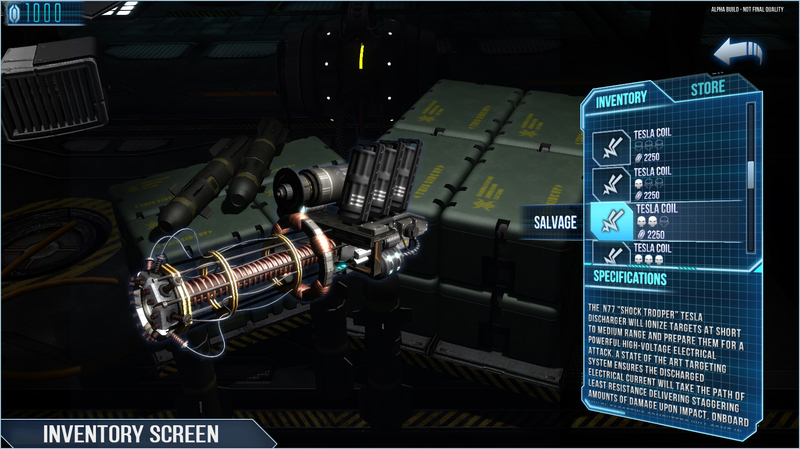 The Plasma Rifle is a fine choice for every pilot especially when upgraded; the weapon becomes significantly stronger, though with the steep price for said upgrades this is where the resource management of the game comes into play. The Tesla Coil is designed to burst down clusters of enemy forces with forking electrical bolts but at a slightly lower range than the other weapons in the arsenal. While the limited range might seem like a pretty big drawback, that couldn’t be further from the truth. When used properly the Tesla Coil can be a devastating weapon that comes in handy against swarming drones and heavy tanks alike. The Laser fires a continuous beam of searing light, instantly hitting anything in a linear trajectory. Since any of the other weapons projectile speed cannot compare to the speed of light, targeting with the Laser is pretty easy and straightforward. However firing the weapon will cause it to overheat, requiring you to wait for a lengthy cooldown. But as is always the case, for every drawback there is an upgrade that comes to the rescue. 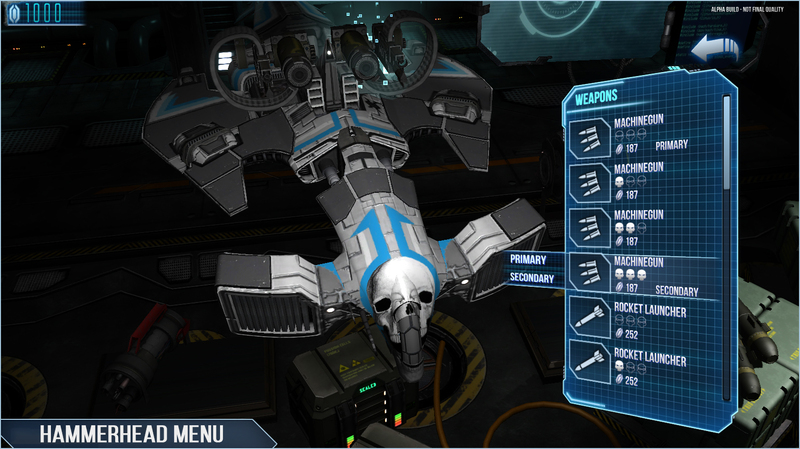 So there you have it, those are the weapons of Excubitor. Well, for now at least, there are plenty more coming and these are still subject to change as is always the case this early in development. We would, as always, welcome any kind of creative input about these weapons or other weapon ideas from you, the community. A bit of help and cooperation can only do good. While there might be some time before we show you the, as of yet unrevealed, (planned) ten new weapons there are still big things coming on the Excubitor front in the next few weeks so follow us, pay close attention and expect some big announcements soon.